Manhattan, NY, USA. March 17, 2009. 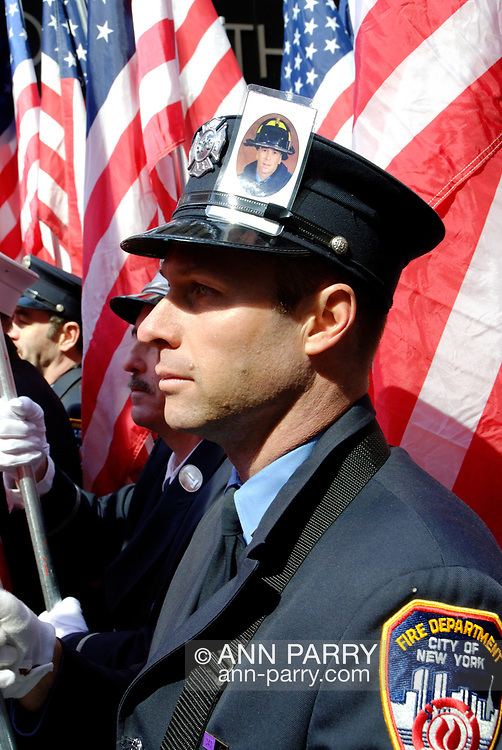 FDNY firefighter LUKE ALLEN, Marching in St. Patrick's Day Parade, displays on his hat a photo of his older brother firefighter RICHARD D. ALLEN, one of 343 FDNY firefighters killed responding to terrorist attacks on Twin Towers Sept. 11, 2001.